The "Buy Today Win Today!" promotion by Klein Tools rewards you, our valued customers, by offering you the opportunity to WIN a FREE Klein item! To qualify, all you have to do is spend £50 or more on Klein Tools in your local CEF branch. It’s that simple! Once you have made your puchases, you will be asked to pick an envelope of your choice. You are guaranteed to win a prize! TOP PRIZE - Weber BBQ! 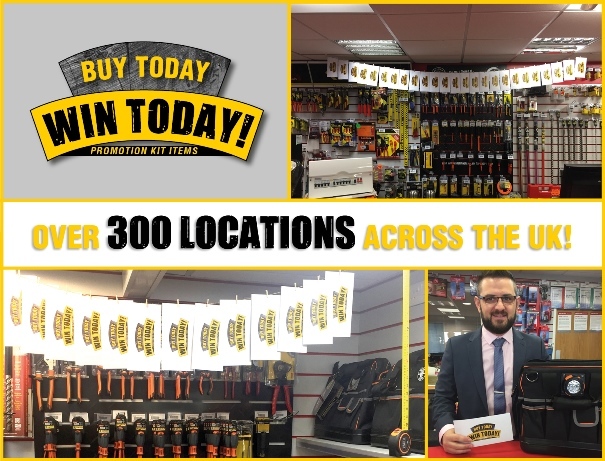 To find your local Klein Tools stockist, please click here.